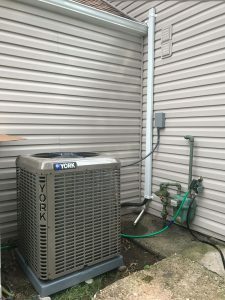 If you are ready for your new heating and cooling system in Linden, NJ and surrounding areas, there’s nothing you can trust but the installation services brought by Blue Air One Heating &Air Conditioning. If your unit is not properly installed, chances are it will become more vulnerable to a variety of problems including faulty parts, system breakdown, and higher energy bills. Our expert heating and cooling installation ensures that your unit is installed to the manufacturer’s specification, so your system will operate efficiently. Our residential and commercial installers have the expertise, knowledge, and experience to install any kinds of HVAC unit brands. Would it be York, Goodman, Slant Fin, Rinnai, Bradford White, Burnham, Honeywell, DiversiTech, Friedrich or other industry-leading brands, we got the expert installation covered. 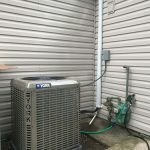 Whether you are planning to add a new heating and cooling system or replace your old unit with a new one, our highly skilled and qualified installers will tackle the job for you. Take advantage of our expert heating and cooling installation services across Linden, Clark, Westfield, Scotch Plains, Fanwood, NJ. Set your appointment today!